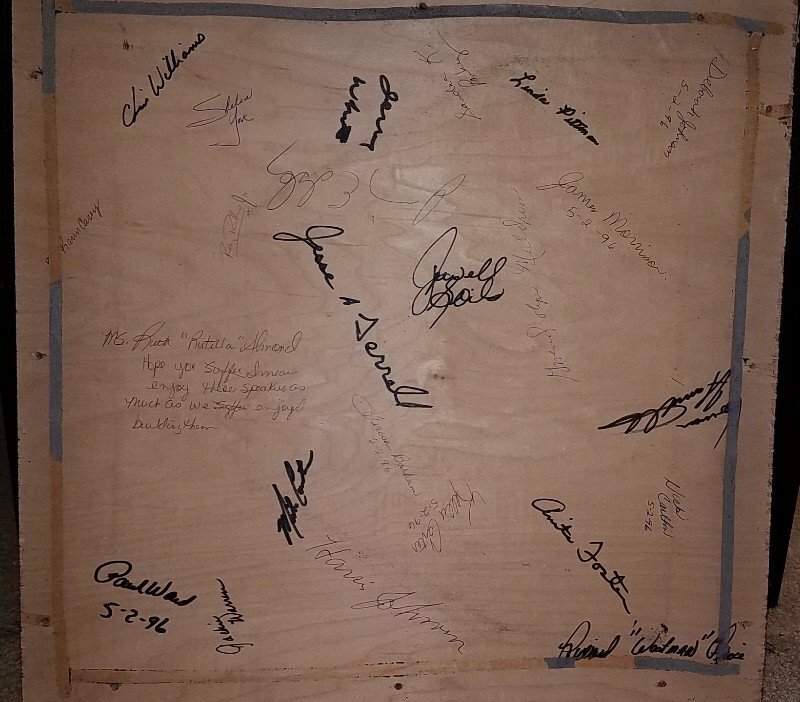 How often did employees sign the La Scala woofer panels? Agree with that Jim... Pretty unbelievable and forever keepers for sure! 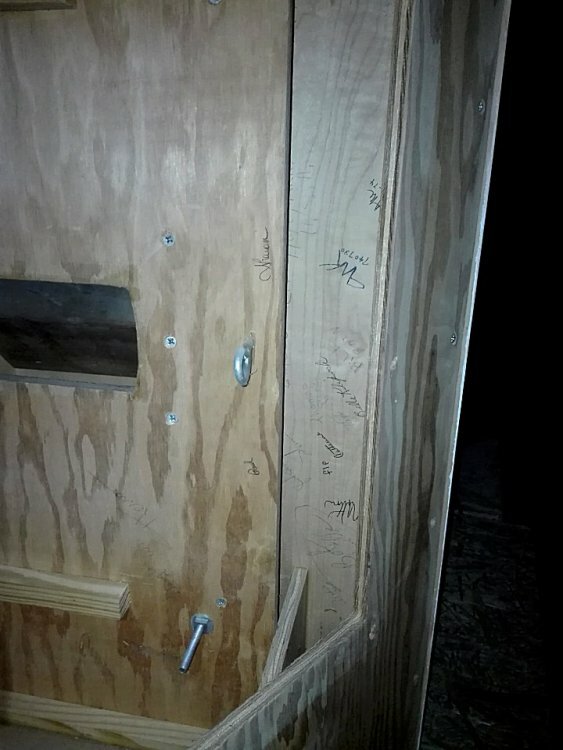 I don't know "for sure", but I would guess that these were originally built for an employee, OR the purchaser was on-site and requested this happen...something like: "I want everybody involved in the making of these speakers to sign them". I have suggested that they develop a process where someone can order speakers and there are many photos taken at various stages of the build, along with autographs so that the purchaser receives an album of the whole process. That would fetch a premium, I think, and do something that I don't know is done anywhere else. Also I have suggested that as a fundraiser, the Klipsch Museum sell photos of pages out of their logbooks for specified Heritage serial numbers. I would pay for a framable photo from the logbook for my SNs, and I think others would too. Sort of like a birth certificate. 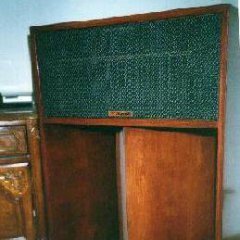 SOME of the speakers built were never logged-in, and/OR the records of them kept very early-on in the "digital age" got lost in the shuffle. For example, some of the factory "loaners" which were built as part a very small run and HAD serial numbers, but were never shipped out of the plant, were highly-likely left off of the logbooks because they were never intended for sale, OR because the decision had been made not to continue the process of putting the model into regular production, such as in the case of the LB-76. MOST of the factory "loaners" were those and LaScalas which had things like "corner damage" repairs from shipping incidents and metal trim added to protect the corner repairs. "Factory loaners" is what the employees "borrowed" for weekend parties and such...like taking a pair of LB-76 speakers to the lower Little Missouri River near Blevins, putting them out on the gravel banks and running speaker wire with alligator clips attached to the car stereo speaker connections and rocking out the countryside while swimming, wading, floating and having a cookout! The LB's were popular for that because you could stuff a pair of them along with a 55-gallon-drum home-made grill along with a couple of kegs, along with a large ice chest and other stuff, into something as small as the standard bed on a '75 Datsun pickup...don't ask me how I know! Ya gotta just love what the LB-76 speakers can do when pushed by a Blaupunkt auto-reverse in-dash cassette deck that has a max output rating of just 5 WPC RMS! in it was a certificate for the speakers signed by everyone who worked on them and a cd which had a picture of each employee working on the Cornwalls. Same thing for Mike & I when we bought our Jubilee's. The certificate is/was laminated. I thought about hanging it.... but the wife gave me a look that suggested I not. I've got a pair of 1996 La Scala LSI-B "Professional" series that I just now pulled the woofer door covers off and I discovered this... (see picture) How often did the employees actually sign things like that? And one is more of a written message and not just a signature plus all are dated 5-2-96...maybe the day actually finished? I guess there's no question on their build date. Ms. Ruth has a way of looking at things that reminds me that to us we all have an awesome set(or multiple sets) of speakers. To her it's a JOB. That's pretty uncommon. Mine are not signed. With Ms Ruth's comment, I'd say they were special order. It really was very nice of them to do that. After thinking about it there is another pair I will never get rid of, it's the Forte lll's, we love them, but the real reason is because they came from a great guy I will never forget, Pappy, Mr. Scott Yocum. To us they are special. Like with Kevin, he has many speakers including a bunch of Pro models, but he has in his living room a pair of Khorns signed by PWK. Extra value, very little if any but I know they are special to him and would probably never part with them. I agree that the LaScalas were made for an employee and to clarify the discussion about the employee discount...We paid factory cost which was 40% of retail and dealers were not allowed to sell below MSRP. Another great benefit was that sales reps were happy to buy other audio gear from dealer for us at very nice discounts. Thats the way I remember it anyway. After all, it was the seventies. Signatures go back quite a ways. They were usually for "special" customers (dealers, celebrities, etc.) and employees. The coolest one I've seen included PWK and Belle, as well as Bob Moers and his wife. It is on the motorboard of a 1974 Klipschorn. That was about a year before Belle passed away.